The global estimate of children, i.e. under 14 years of age, with moderate or severe disability is 93 million which means 1 out of 20 children globally under the age of 14 years. In the ongoing series of blogs, we have discussed that the gross enrolment ratio and the dropout rate is high among the children with disability and the reasons attached to it are poverty, lack of resources, policy exclusion, lack of skilled human resources and other connected and incidental reasons. The goal of education for all and the right to education is denied all over the globe as a result of which their participation in society is restricted, marking their exclusion. We have discussed the existing situations, scenarios and problems persisting in the society and have taken note of UN conventions, declarations, International and Municipal approach towards the issue and legal framework and policies existing in the country. In light of all the schemes, data, policies there are certain strategies which need to be adopted by jurisdictions in order to address this monumental issue. 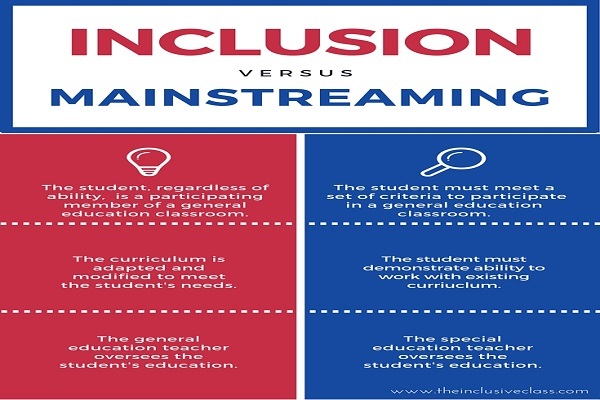 An inclusive society and inclusive education is basic in creating a conducive and cohesive society in order to achieve education for all and realising basic human rights. Rights of persons with disability long have been at the periphery and cometh the hour for it to arrive at the centre of the scheme of things. The last decade have seen shifts and movement from integration to inclusion and from social/medical model to the rights-based approach. UN has passed a convention laying down the international guideline for its members to formulate laws on its lines and various countries have adhered to it. India passed The Rights of Persons with Disability act in the year 2016. It has restructured the Education For All programme, Sarva Shiksha Abhiyan, in terms of rights. Providing legal sanctions to the rights of persons with disability by enacting laws and statutes and framing relevant policies for inclusion in education as well as society. They should set focused and time-bound ambitious realistic goals, the inclusion of persons with disability in policy and decision making positions and removal of legislative or fundamental barriers. Provide fair share in national budget allocation for the programmes on rights of persons with disability which should be utilised in developing resources. The data parity should be maintained and attempts should be made to improve the existing data and refine the definition to make it inclusive and not exclusive. The development and attainment of right also depend upon the accessibility of schools to children with disability and along with the accessibility the state should ensure inclusive relevant content which is applicable to one and all present depending upon their requirements. Develop a pool of skilled and trained human resources and teachers. This will decrease the student-teacher ratio and will allow them to focus on children with needs. Also, the state must ensure that the curriculum should be adaptive and address the needs of many. An awareness campaign, training programmes and workshops to change the attitude. Developing and creating an accessible and conducive inclusive environment which will not only allow free movement but also supplementary policies of social protection, pension, state insurance will go miles in helping people out. These strategies are not exclusive but broadly cover the major areas in need of attention. The implementation on these lines will definitely help in the creation of better society and opportunities. There is a need for a push to keep the ball rolling and make this society an all-inclusive place. Education, G. C. Equal Right Equal Opportunity: Inclusive Education For Children With Disabilities. Johannesburg: Handicap International.